Systems biology is a critical emerging field that quantifies and annotates the complexity of biological systems in order to construct algorithmic models to predict outcomes from component input. Applications in medicine are revolutionizing our understanding of biological processes and systems. 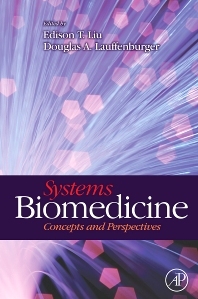 Systems Biomedicine is organized around foundations, computational modeling, network biology, and integrative biology, with the extension of examples from human biology and pharmacology, to focus on the applications of systems approaches to medical problems. An integrative approach to the underlying genomic, proteomic, and computational biology principles provides researchers with guidance in the use of qualitative systems and hypothesis generators. To reflect the highly interdisciplinary nature of the field, careful detail has been extended to ensure explanations of complex mathematical and biological principles are clear with minimum technical jargon.